Nicola Sturgeon’s “Programme for Government” – Imitation is the sincerest form of flattery. Nicola Sturgeon’s “Programme for Government” carries all the hallmarks of an administration that’s in its death-throws (Report, 06/09/17). 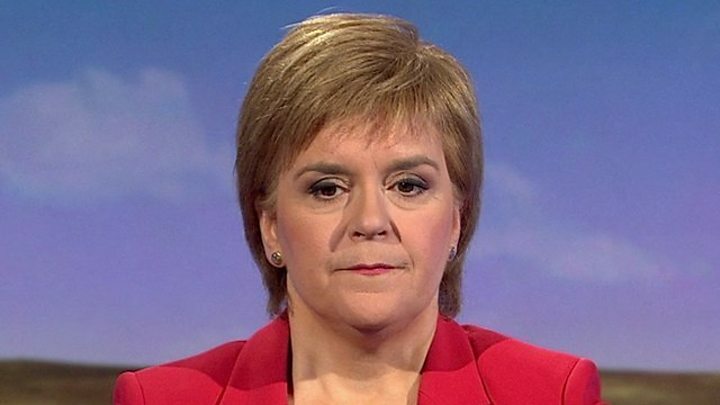 The indyref2 threat has been hidden away and what’s left in its place is an intellectually incoherent set of policies cobbled together on the hoof. On education, we have policies lifted from the Tories. Magically, by simply adding a saltire the Nationalists make the unacceptable acceptable. Likewise, Labour policies the SNP opposed just a few months ago are now in their Programme for Government. This includes Labour’s progressive policies on ending the pay cap, bringing ScotRail into public ownership and organ donation. On one hand we are promised an SNP delivered end to the internal combustion engine, and on the other tax cuts will be awarded to airlines. This environmental incoherence is what happens when a government is driven only by a desire to grab headlines. Like a magpie, the Nationalists appear to have worked their way through Labour’s policy platform and taken all the shiny bits as their own. Free access to sanitary products, an end to rough sleeping, bus regulation, a Scottish Investment Bank, support for Frank’s Law and exploring how the basic income could work have all now been “adopted” by the SNP. Imitation may be the sincerest form of flattery, but this is beyond a joke. It’s what happens when a political elite is driven only by a hollow constitutional goal and not an underlying ideology. Although I welcome the SNP’s belated support for Labour policies, I do wonder about their ability to meaningfully implement them. One only has to look at the guddle they made of the baby box. In Finland the policy involved providing parents with lots of useful items in order to encourage them to engage fully with the healthcare system. The SNP went big on the giveaway element, but experts have questioned the lack of follow up support. I fear this is how their Programme for Government will progress – long on spin and gimmicks, but short on substance. ← I want to bury the damage Thatcher did in northern Edinburgh… under a tramline.